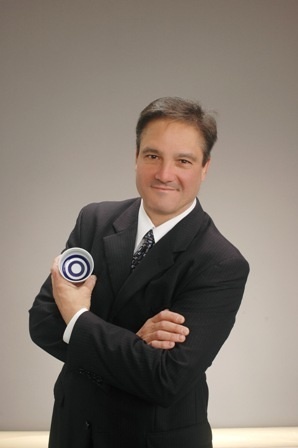 John Gauntner has done more to promote sake than any other non-Japanese in the world. John is the author of five books, an informational monthly newsletter, and for those lucky enough to be in Tokyo, he holds interesting tasting seminars at Takara. His accomplishments are too numerous to list all of them here but some highlights include being the only non-Japanese to be certified in both the Master of Sake Tasting and as a Sake Expert Assessor. He also sits on many panels, often as the only non-Japanese, and rarely does a month go by where John is not in a Japanese magazine or newspaper. He has inspired many in the world to pursue and learn more about sake. He has influenced my life as well. While I was working at Takashimaya’s flagship store in Nihonbashi as a sommelier in the sake department the staff were given a chance to study another beverage. The store manager encouraged me to study sake but John had done so much to promote sake that I decided my energy was better spent learning shochu. Originally from Ohio, this fellow Midwesterner also came to Japan on the JET program the same year that I did, in 1989. 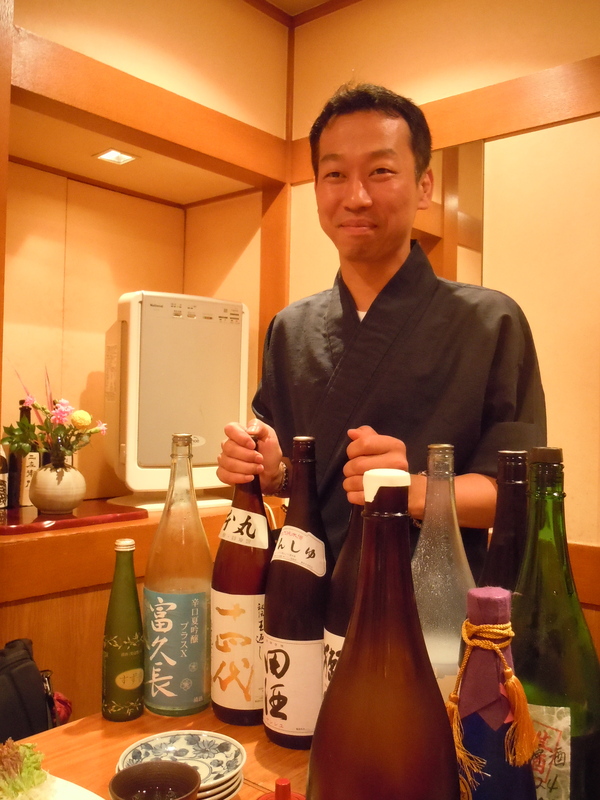 John generously shares with us some with insightful tips for sake lovers visiting Tokyo. My recommendation is to time your trip with one of his sake seminars, to subscribe to his free newsletter, and pick up one of his books. My personal favorite at the moment is The Tokyo Sake Pub Guide. 1. On your website you list many of the best izakaya in the metropolis. If a visitor to Tokyo has only a limited time, could you suggest three izakaya. By visiting all three readers would have a better understanding of the izakaya scene in Japan. This is a hard question to answer without qualifying. It all depends on whether or not one speaks Japanese. But I think one all around recommendable izakaya for food, sake, ambience and user friendliness is Sasagin. Another great and classy one on all fronts that flies under the radar a bit is Nakamura in Shibuya. Everyone that goes there is surprisingly pleased. And perhaps the ultimate gritty (in a good way) izakaya experience with great sake too is Taru-ichi in Kabukicho. Finally, the fourth of the three is Ajisen in Tsukishima: outstanding food, great sake, but very small, very popular and a bit more expensive. 2. What are good retail sake shops in Tokyo? Ideally conveniently located. Surely the Hasegawa Saketen shop INSIDE JR Tokyo station at Gransta is the easiest and best. They have a great sake selection, English spoken (a bit) and optimally located albeit inside the wicket. Their Azabu Juban store is good too. Next would be Sakaya Kurihara in Moto Azabu, at the bottom of the hill down from the Chinese Embassy. Solid, classic collection and friendly proprietors but English may be strained. And in Shibuya, Tokyu Food Show just below Hachiko has a great selection too. 3. You have your finger on the pulse of what is happening with sake in the world. What sake trends do you see right now – either in Japan or in the world? -Lots of young blood, i.e. younger brewers with new enthusiasm and ideas. -Overall higher milling rates. Not necessarily a good thing, but I do see this trend. -A second wave of muroka (not charcoal filtered) nama (unpasteurized) genshu (undiluted) sake. Personally this kind of sake lacks subtlety but it does seem to be making a comeback. -More character-laden sake like kimoto, yamahai and naturally occurring yeast sake. Not a ton, but enough to see a trend. 4. What sake is in your fridge now? What good sake have you had recently? In my sake fridge are about 30 sake, lots of which are “science experiments.” But most interestingly are a couple from brewers that no longer exist, like Suzuran in Iwate. The ones I most want to taste are Tensei, Mori no Kura, Sakuragawa, and a Kame no O from Niigata that is about ten years old. Oh, and one Tatsuriki made with Toku-A Yamada Nishiki @ 35% that needs a year to open up. 5. What are some easy to find sake to look for at izakaya? One way is to look for harigami, streamers on the wall, to see what is just in or not on the main menu! Two is to ask the proprietor not for a recommendation but rather what he or she likes now or best. Then ask for something similar if you like it or different if you do not. Some places (like Sasagin) will assess you and pick one for you. Others are more reticent to do that. Finally, ask for what you like and if they do not have it ask for something similar. And I highly recommend taking notes on what you taste! Shibuya-ku, Uehara 1-32-15, Kobayashi Bldg. There are many wonderful izakaya in Tokyo, however finding one that is open for lunch is a challenge. 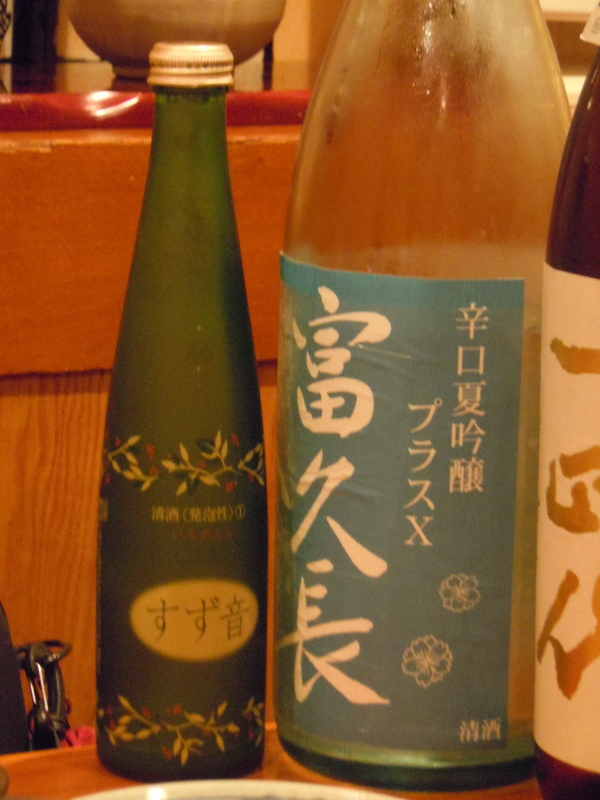 I was in particular looking for an izakaya with a wide variety of sake by the glass that is open for lunch. All of my favorites, including Sasagin and Takara are only open for dinner. I found this izakaya from John Gauntner’s great book, The Sake Handbook. John Gauntner’s wonderful website is also an outstanding resource that lists the top izakaya in the city. Out of all of these, only Sake no Ana is open for lunch. Sake no Ana in Ginza is an amazing place to go for lunch if you want to try many different sake by the glass. The location also can not be beat, in the heart of Ginza across the street from Matsuya department store. When I made our reservation I confirmed that a sake sommelier would be on hand to help with the tasting. Sakamoto-san (no relation, unfortunately) was amazing. I asked him to taste us through all of the different types of sake (from honjozo, junmaishu, daiginjo) and asked him to put in some other fun stuff like nigorizake and koshu. Also, good to know that the evening menu which is full of sake-friendly bites, is available at lunch, you just need to ask for it. The restaurant is busy at lunchtime, mostly with salarymen and office ladies taking their set lunch specials, so it is not really the most conducive environment for such a tasting. But if you are in Tokyo for a limited time and want to use a lunch to explore sake, then I truly believe this is the best spot in the city. And Sakamoto-san is friendly, knowledgeable, and provided exactly what we wanted, a variety of sake. All sake below are between 15-16% alcohol unless stated. Sparkling sake from Ichinokura (name of brewery) in Miyagi prefecture. You called this the Moscato d’Asti of sake. Made by Miho Imada, a female toji (sake brewer) – very rare for Japan where most sake brewers are men.